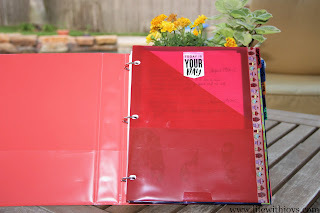 My prayer journal has become so dear to me. As I sit with it each morning, I am aware of Jesus' presence and our ongoing relationship. There is no better way to start my day! As I write, my mind becomes centered on Him and my heart lines up with His ways, His love, and His will for me. Another benefit is that my mind stays focused on my prayers rather than being distracted by incoming thoughts. 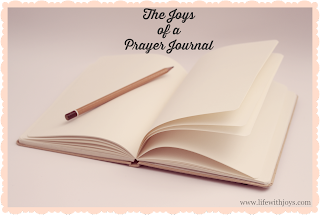 Prior to writing in my prayer journal, my mind was notorious for going in all different directions during my morning prayer time. Before I sit with my journal, I make a delicious, piping hot matcha latte. Once it's made, I snuggle into a quiet area and open my journal. If the weather is nice, I like to sit on our back patio. This is actually my favorite spot because I get to witness the rising sun and listen to the birds sing their good morning songs. I created my own prayer journal. I have tried various others and they each possessed great things. However, I was never in love with one so I decided to pick and choose what I liked about each and make my own. Each section is based on a specific Scripture. In doing this, it helps me focus on the why of each section and reminds me that Jesus cares deeply about every aspect of my life. There is nothing that He doesn't want to hear about. He wants us to openly pour our hearts out without any shame. We might as well bear our souls - He knows anyway! And - when we do, we always feel so much better. Talking heals the soul - especially with Jesus! In this section, I write a verse that I feel I need to focus on for the day. I don't write in this section on a daily basis, but I always read through each verse. As I do, I am able to see God's over the top love for me and often remember what a specific verse did for my day. I give God praise in this section and it is based on His word. For example, I may write you lead me along the right paths and this is based on Psalm 23. I write at least 5 praises, although, there are many days when I write a ton more than 5. I love beginning this way because my heart always thrills when I see how God's words impact my life. works for all of humanity. This is the section where I get to thank Jesus for all He does for me, my family, and beyond. Often times, I forget ALL that He did the previous day. However, when I start writing I am thankful for so much and my soul pours out my pen on the paper. forgive us our sins and to cleanse us from all unrighteousness. This is a tricky section. There are some confessions that are between me and God only and I wouldn't want wandering eyes to see them. If that is the case, I write in very general terms or not at all. I still confess, but it might not be put on paper. For example, if I was disappointed in one of my children unnecessarily I wouldn't want that in ink. I would hate for one of my loves to read it and feel badly. On the other hand, I often have to confess my lack of trust in the Lord. I don't have any qualms about pouring my heart out on paper with this confession. Keep asking and it will be given to you. Keep knocking and the door will be opened to you. I pour my heart out to Jesus in this section. I ask Him for all of the things that are on my heart. He already knows our hearts and what our needs and desires are, so to hold back would be plain silly. We show our trust by asking Him for all things and then truly believing Him for them. quiet life in all godliness and dignity. I am so grateful that God calls us to pray for others! In this section, I pray for anyone and everyone on my heart. I always pray for safety and protection for our family, as well as discernment for our children. There are times that prayers for others are confidential. When this is the case, I simply write their names. are still speaking, I will hear. This section is lovely because it allows me to see how God works in my life and answers my prayers. I love writing this section because it shows my ever wondering heart that He hears me and loves me. 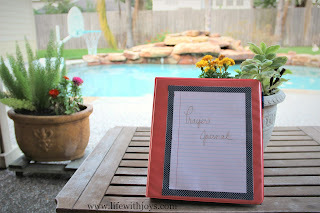 Looking back at answered prayers is so reassuring and calming! God wants to give us the desires of our hearts. The amazing thing is that He goes above and beyond in blessing us with our desires. No dream is too big for God. Don't you think He thrills to show us His love and majesty through blessing us? I sure do! In this section, I list the dreams of my heart. I get excited as I list them because I am giddy waiting to see how He will make it work out. I encourage you to create your own prayer journal. It will bless you and cause you to look forward to your time with Jesus. Make it your own. Personalize it in any way you'd like. I'd love for you to use my method. It has blessed me so much that my cup overflows and my relationship with Jesus is so much stronger.